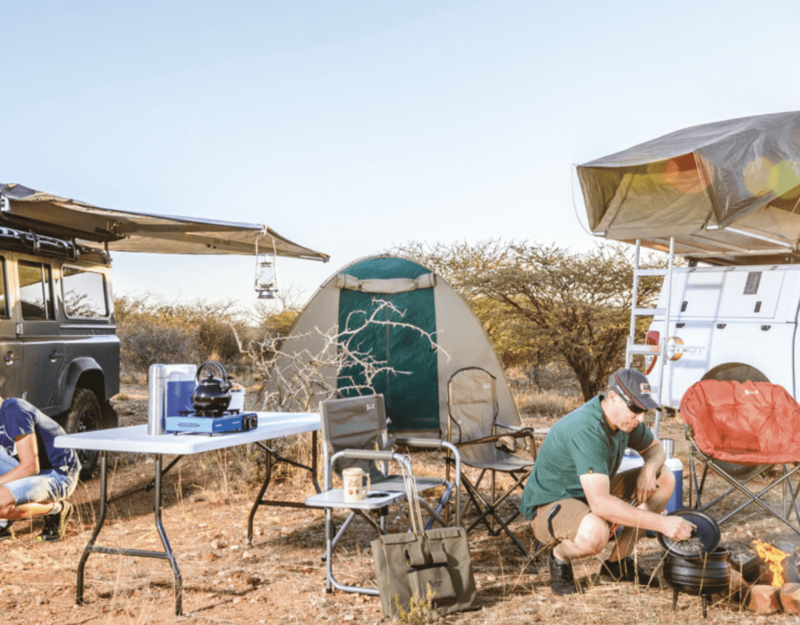 The Desert Homestead Outpost is situated 30 km south-east of Sesriem, the entrance to the Namib-Naukluft National Park, on a private nature reserve bordering the Unesco World Heritage Site “Namib Sand Sea”. 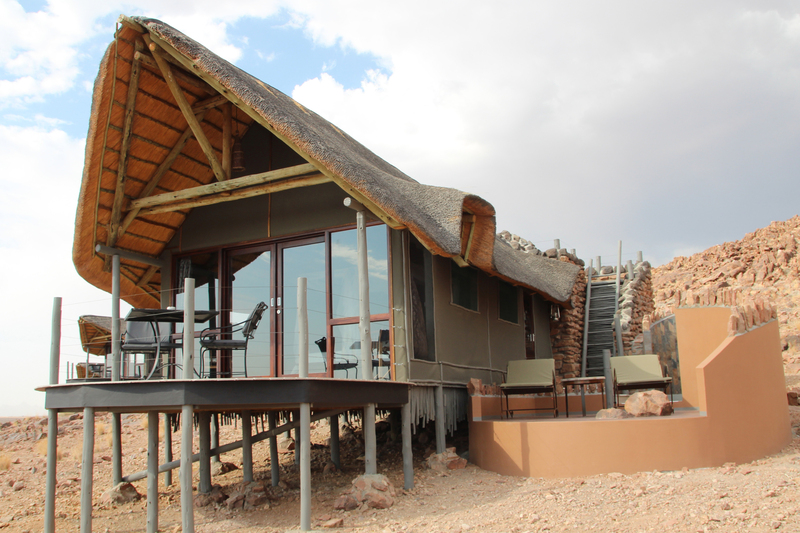 It is the ideal starting point for trips to Sossusvlei, Dead Vlei and the Sesriem Canyon. 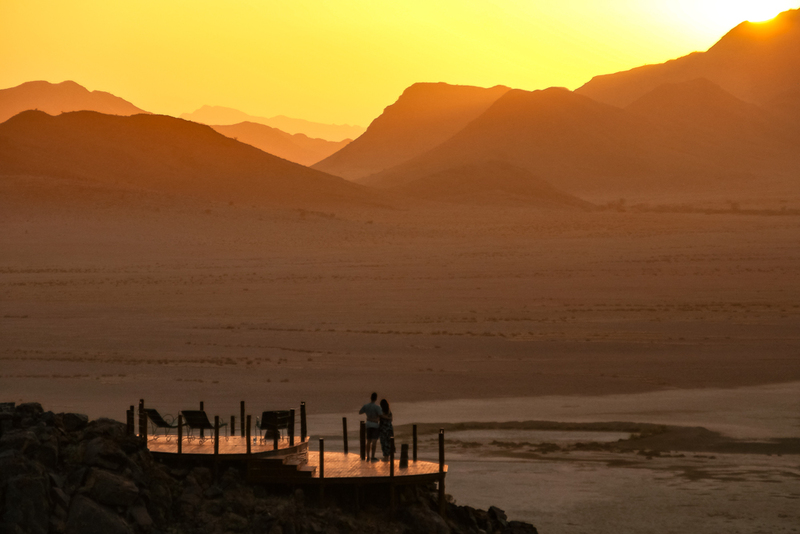 Other exciting activities offered by the lodge are horse safaris, scenic drives and the Namib Mountain Trail, a guided walk from Desert Homestead Lodge to Desert Homestead Outpost. Hot air balloon rides can be arranged on request. 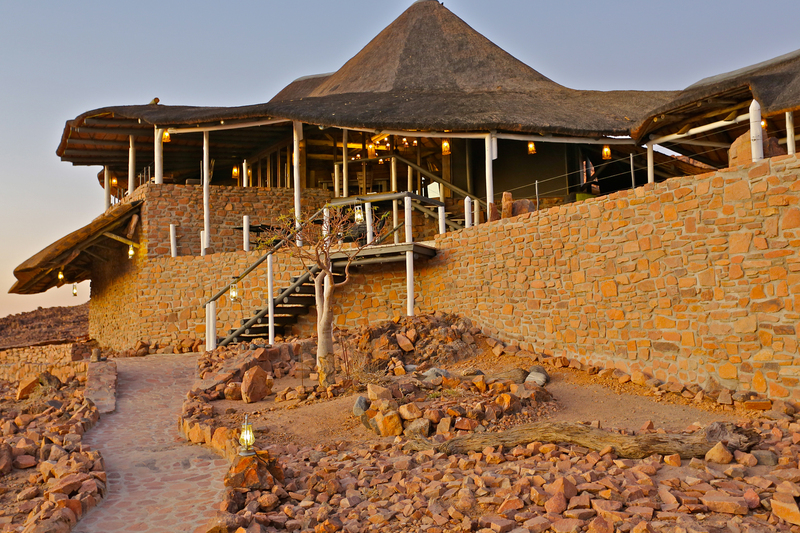 Nestled against the west side of the Namib Mountains, guests can enjoy a magnificent panoramic view over the vast open plains. 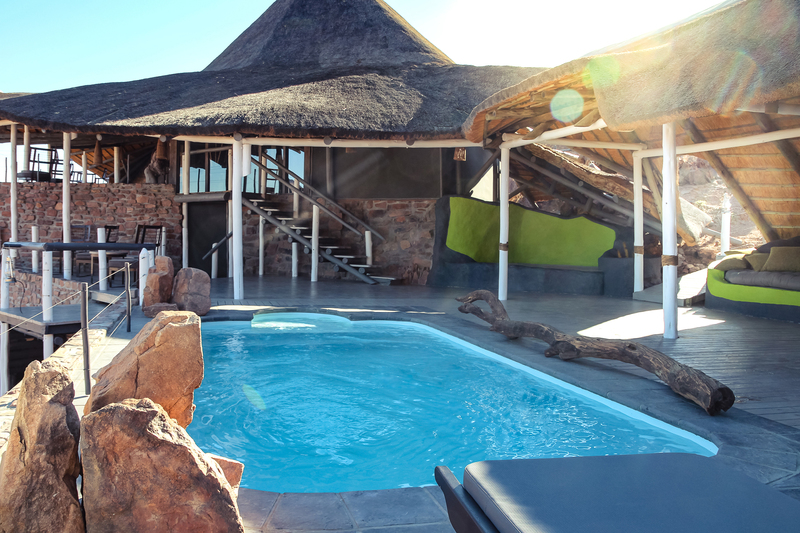 The lodge offers 11 individual thatch roofed comfortable and cosy chalets and an exclusive suite. The unique location in the vastness of the nature reserve offers complete peace and tranquility. Guided hike between lodges in the Sossusvlei region combined with two overnight stays at Desert Homestead Lodge / Desert Homestead Outpost. Before sunrise, the hike will start after an early bird breakfast. The first leg consists of crossing the local landmark mountain. Follow a canyon to the mountain saddle. Light climbing will be necessary here. After one to one and a half hours, the saddle will be reached just as the sun comes up. 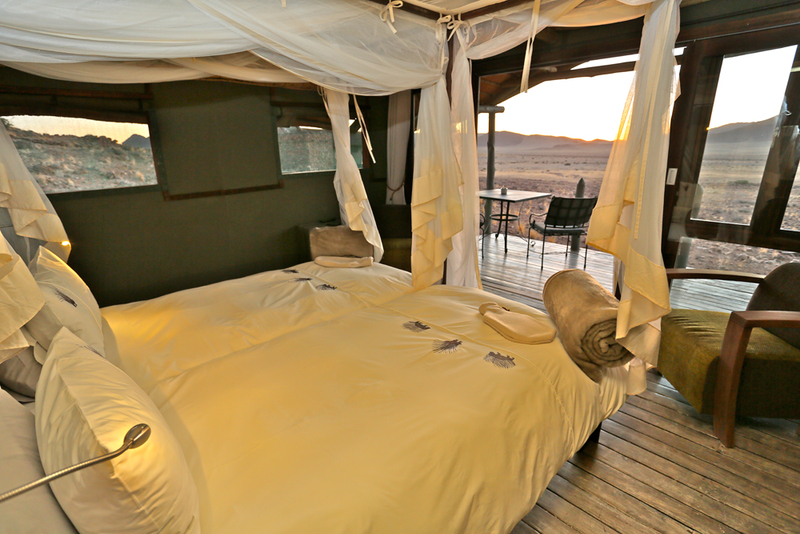 Enjoy a first rest while watching the sun rise over the red Namib dunes covering the horizon.